Frances Carter-Johnson, M.S. ’07, applied physics, and Ph.D. ’11, public policy, is used to getting questions about why she jumped from physics to public policy and explaining how, in her career path, it’s really all connected. Frances-Carter (left) leads an interview and listening skills exercise. “I thought I was going to go to law school but I found physics and fell in love,” says the UMBC triple alumna. Carter-Johnson earned bachelor’s degrees in physics and engineering, then a master’s degree in physics. “During that time, I also realized I enjoyed working in the community,” she says. Her mentors, President Freeman Hrabowski, Associate Vice Provost Renetta Tull, and Dean Janet Rutledge, pointed her in the direction of a Ph.D. in public policy. Today, she combines her love of analytics, physics, and math as an education data scientist at the National Science Foundation. Learning from stories like Carter-Johnson’s, the UMBC School of Public Policy is working to create more opportunities for diverse students to see future careers for themselves in the field. 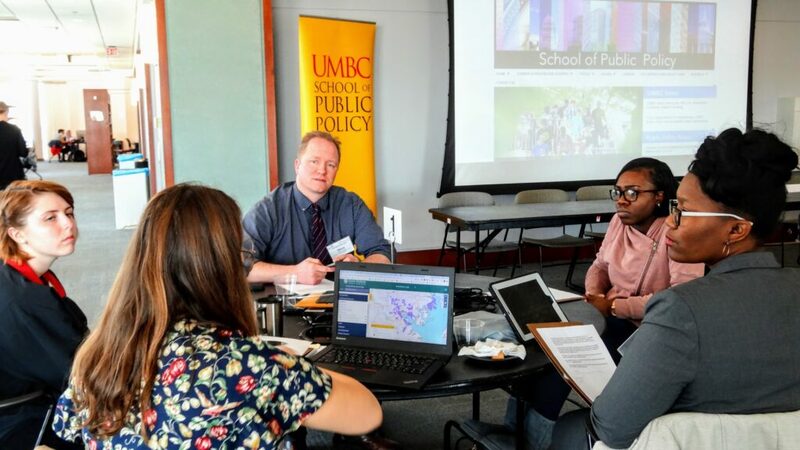 To move this work forward, the UMBC School of Public Policy is partnering with the Association of Public Policy Analysis and Management (APPAM), a national organization that fosters excellence in research, analysis, and education in public policy. 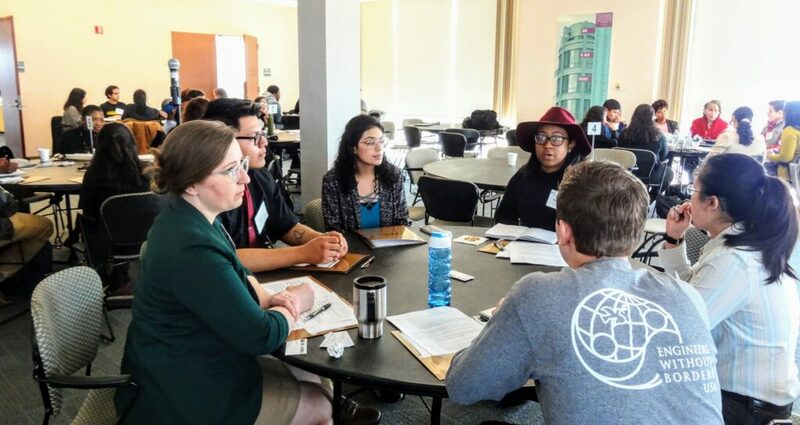 On March 12, the partners hosted a day-long public policy camp to connect with undergraduate and graduate students, particularly from underrepresented groups, who may not be exposed to public policy as a field of study. Public policy professionals and students discuss current policy issues in Baltimore City. Susan Sterett, director of the School of Public Policy, and Jane Lincove, associate professor of public policy, envisioned the event and proposed it to APPAM. Their goal was to draw diverse students from across UMBC and the broader mid-Atlantic region. 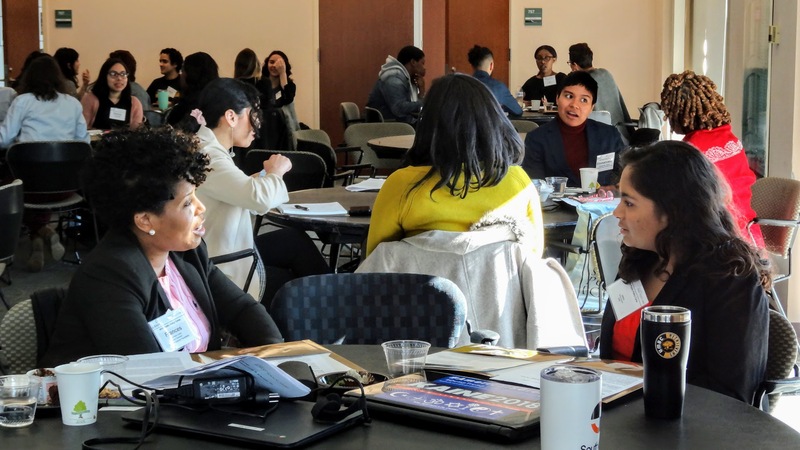 “We felt that UMBC was uniquely positioned to meet APPAM’s goals in helping to diversify the field because of UMBC’s strong, diverse student scholars, many of whom are first-generation or come from underrepresented groups,” shares Lincove. 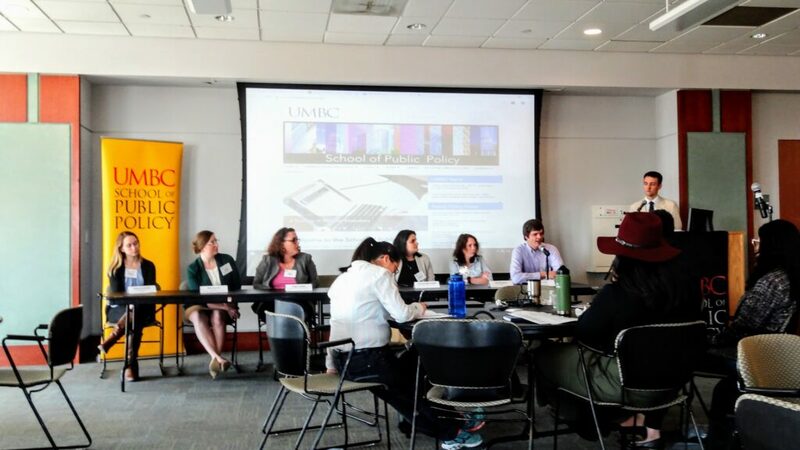 UMBC’s proximity to Washington D.C., Pennsylvania, Virginia, and New York also provided an opportunity to connect with a large number of students about professional possibilities that exist in the field. Sterett and Lincove worked with UMBC’s College of Engineering and Information Technology and the College of Natural and Mathematical Sciences to reach students usually not exposed to public policy. They also drew participants from other University System of Maryland schools, area HBCUs, local community colleges, and additional private universities, such as Johns Hopkins, Temple, American, Virginia Commonwealth, and Columbia. Several public policy alumni, as well as faculty and current doctoral public policy students, participated in the event, to share how they have applied their skills in the field in a broad range of ways. They shared their experiences through both small group conversations and a panel discussion. Chris Curran (right), assistant professor of public policy, introduces the panel. Qubilah Huddleston (in red hat) discusses what defines public policy. Throughout the day, students also focused on interactive activities led by alumni and other professionals in the field. Groups practiced foundational public policy skills like interviewing and active listening. They also practiced conducting research and implementing policy on two current Baltimore City issues: food deserts and lack of reliable heating in public schools. The second half of the camp focused on an interactive game to understand budget and fiscal policy. Sharkey listens to students have policy debates over Baltimore City food deserts. Incoming freshman Shriya Samala ‘23, who has been interested in public policy and political science, appreciated the opportunity to network with professionals and peers who are in different stages of their journey. She compared notes with Emmanuel Caintic, a CCBC student interested in constitutional law, and Daniel Kozlowski ‘19, mechanical engineering and a Sondheim Public Affairs Scholar, who, like Carter-Johnson, is combining his love of a STEM field with public service. Together, they were excited about the many future paths open to them in public policy. 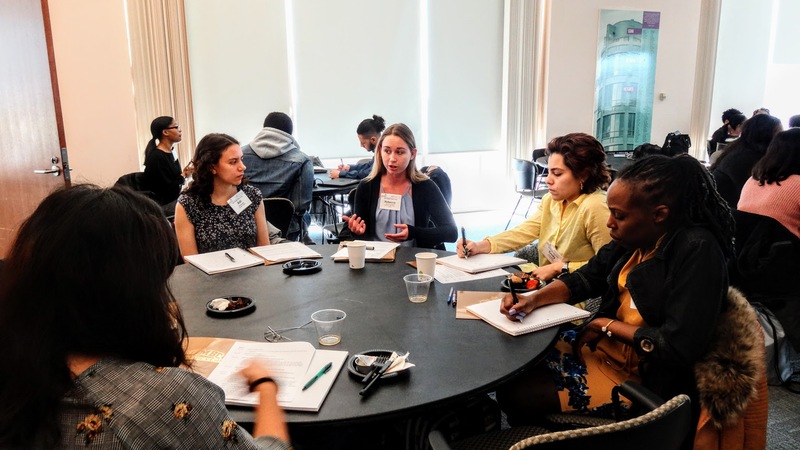 Banner image: Amanda Latimore (left), assistant scientist at Johns Hopkins Bloomberg School of Public Health, leads a table discussion with students. All photos courtesy of UMBC’s School of Public Policy.